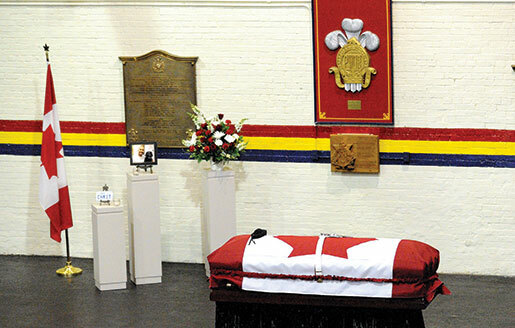 The story of an elite Canadian soldier and the terrible aftermath of war. 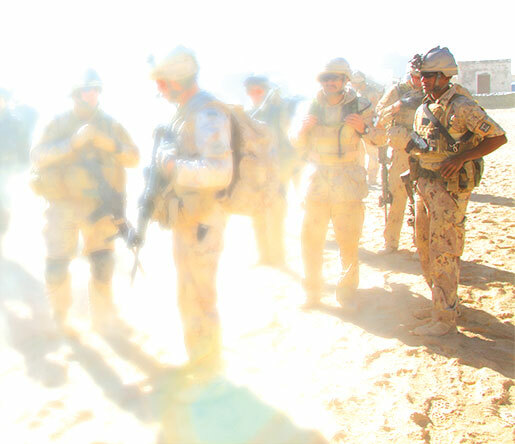 In southern Afghanistan in 2009, a close-knit unit of Canadian soldiers gathered in the sandy courtyard of their small base to get a briefing before their first combat patrol. They stood in a group tightening their straps, checking their ammunition and boisterously making fun of each other and everything else. Off to the side stood two men nobody knew. The commander smiled and continued. “Then we’ll have Chuck and Omar,” he said. Charles (left) in Panjwaii in 2009. The two mystery men off to the side—Chuck and Omar—did not belong to this unit. 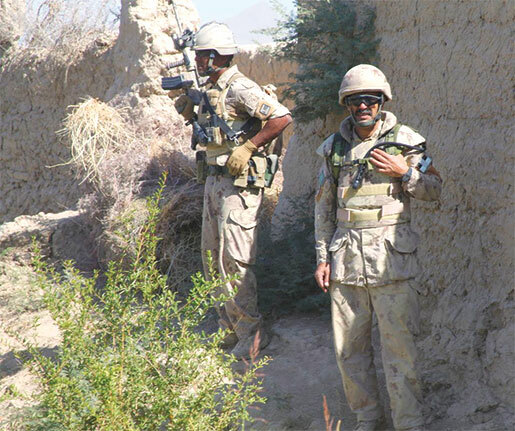 In fact, it was hard to tell what unit they belonged to—one of them was clearly a mustachioed Afghan, wearing a full Canadian uniform and the other was a tall, lean man with no rank or unit identification who had the spray-painted helmet, exotic body armour and non-standard weaponry that signify special operations forces. Over the next weeks at the small base the identity of the guy—particularly the Canadian, Chuck—would not become much clearer to me. Nor was it supposed to, because they were kind of a secret. As a matter of fact, at the time Chuck’s unit didn’t really have a name, not exactly. But now they are called Joint Task Force X and they are one of the newest and least-known of Canada’s unconventional forces. And Chuck’s identity is now more widely known as well. He was Master Corporal Charles ‘Chuck’ Matiru and you would never be hearing his name in connection with that unit except for one thing: this past January he succumbed to his injuries from post-traumatic stress disorder and shot himself. Which is tragic in more ways than you can probably imagine. Charles was born in Africa in 1980 to a German mother and a Kenyan father. He moved to Canada at 16, joined the Canadian Forces in 2003—the Princess Patricia’s Canadian Light Infantry, to be specific—and deployed to Afghanistan twice in short order, first to Kabul in 2004 and then for a wild and woolly tour in Kandahar in 2006. Charles then transitioned from regular infantry to become a “source handling operator” in what is known as human intelligence. Call it what you like, but his job was to gather secrets from Afghan sources in order to protect Canadian soldiers and crush the enemy. In 2009, in the early days of my time with him at the little base, I was watching him closely trying to figure out the mystery of who he was and what he was doing on the battlefield. At first he was so tightly controlled and inexpressive that he seemed like a machine—he didn’t have a personality so much as he had a method. He would spend entire mornings, entire days, in his little room checking his equipment—mysterious silver cases he kept below his bed, interacting with no one. On patrol he and Omar—his translator and adviser—moved casually across the landscape, interacting with locals and disappearing into houses and shops like they were in their own hometown. But then over time another side emerged. Once in a while, and with increasing frequency as the days turned to weeks, some piece of conversation would catch his interest and Charles would burst to life, instantly becoming the most amusing, gregarious person around. He was an immensely capable, unusual character—but perhaps just about what you’d expect of a battlefield spymaster. Looking back, he seemed fearless and it is hard to imagine anything really worried him. Or, put another way now, it’s scary to imagine the kind of thing that would have worried him. Post-traumatic stress disorder is a comprehensive injury. It is a package of physical and psychological symptoms—constant agitation, powerful feelings of distrust, a pervasive sense of unease—that becomes like an infection, the sufferer a caged animal desperate to alleviate their torment by any means. But, perversely, drinking and drugs only make the sense of isolation more profound and, among soldiers at least, amplify the feeling of failure for being afflicted. Perhaps for that reason, Charles was intensely private about his battle with PTSD; which is not to say he tried to cope on his own, only that he didn’t tell his family or friends much about it. After Charles’ 2006 tour he checked himself into treatment when he started hallucinating that he was being attacked and quickly realized there was a difference between what he perceived and what was actually reality. In early 2012, after two nearly consecutive tours as a human intelligence operator, Charles began to struggle again. He started drinking heavily, to the point where he took himself off a small arms course and sought addiction counselling at the base to help him with the problem. In March he checked himself into the Edgewood rehabilitation clinic in British Columbia. After completing the program he returned to Kingston in early May but began drinking again shortly after. 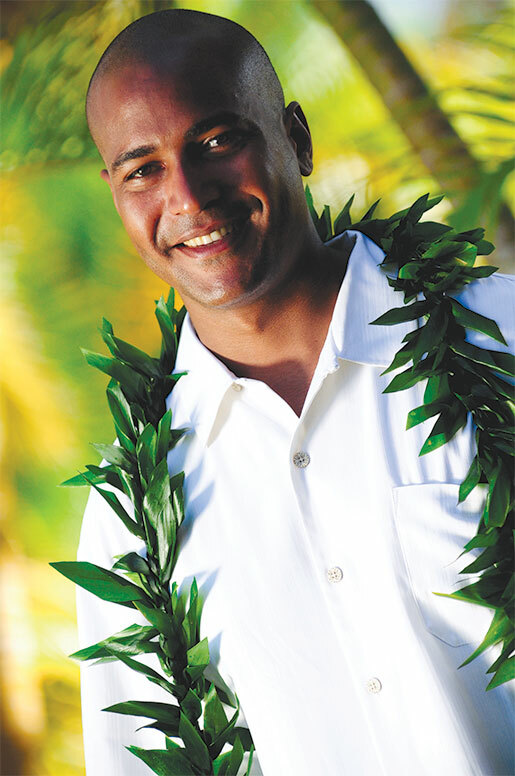 At this point his partner Stephanie Taylor and his family, notably his brother David Matiru, began intense efforts to intervene. David flew out from Vancouver in June but Charles was so angry that his family had learned of his situation that it did little good. 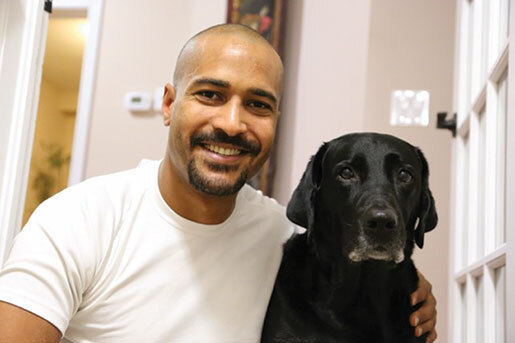 After a concerted effort to gain access to more treatment, Charles checked into the Bellwood clinic in Toronto in late July for two months of PTSD and addictions treatment. When he got out in September, everything seemed better. He was transferred from JTF-X into the Integrated Personal Support Unit in Kingston, where he was to receive ongoing care and support. What exactly happened to Charles after that is not known, but it appears he had a relapse in December, possibly during a trip to Honduras with Stephanie. It’s only in retrospect that anyone is really able to piece together Charles’ last days. His plan was to go to school—for photojournalism—and he told his family that was still on track for early January. Meanwhile, he covertly withdrew from classes and started making other plans. He secretly rented a storage locker and bought himself a handgun. He got Stephanie a new dog and took her out to her favourite restaurant for a final meal. On Jan. 15 he left her in bed and the next she heard from him was later that day on a three-way phone call with their mutual friend. Charles told them where he was and what he was going to do, that Stephanie was going to be a widow and that their friend was to look out for her. They called the police but by the time police got to the storage locker Charles was dead. Charles in a relaxed moment. The thinking against suicide commonly goes like this: if you love your family, you want to live. But as sound as that thinking may be, it can’t do anything to the unbearable density of this other thought: you’re better off without me. It was the last inexorable step of a mind turning against itself. Charles had been trained to eliminate threats in order to protect others and now from inside a mind gone awry came the conclusion that the biggest threat around was Charles himself. Charles took himself out, there is no question. Where the questions lie is in whether it was possible to prevent such a desperate move and, further, how should we all now see his action? Charles sought professional help at least five separate times. With each failure it seems he grew a little more certain that nothing could help. Was Charles’ care intensive enough? His family believes it was not. Certainly there was no counselling effective enough to prevent his relapse or intercede in his suicide plan. Charles did not have to die—the system failed him. Perhaps in his final days he was beyond help but he spent almost a year getting to that point. That Charles’ death may have been preventable merely amplifies the tragedy; Stephanie is expecting their first child this June. Baby Matiru, as the unborn child is known, “really weighed heavily on his shoulders,” said Sabrina. “He wanted to be the father that his brother [David] is, but he knew with his demons he couldn’t escape, there’s nothing he could do about it. Charles wasn’t killed at war, but he died because of the war. He doesn’t get that recognition though. It’s unknown whether Charles Matiru’s name will appear alongside Canada’s war dead in the Seventh Book of Remembrance at the Peace Tower on Parliament Hill. It’s unclear whether Baby Matiru will ever be able to read it there. Add that to the list of things that doesn’t seem right about this. However, this isn’t a story of blame or of what is owed to those who died as a result of service to their country. It’s merely a notice that Master Corporal Charles Matiru, Canadian soldier, has died of his wounds. He was 32. Perhaps, it means little and is too late, but i wish to state my condolences on behalf of my family to his family. I do hope this article will be published across the web if only that his name is remembered, and to enable someone to catch the next man before he is taken by the dark side of life. Nice guy, he worked with my company in 09 as well. fing shame it ended this way. Another vet gone, we have lost a few since getting home. Lot of guys on the sauce after that tour, a lot of haunting memories.